Help your students make good progress in Key Stage 3 English with our popular series, now updated for the new curriculum. The Aiming for series provides targeted support for all ability levels to help every student move forward from their achievement at Key Stage 2 towards GCSE success. 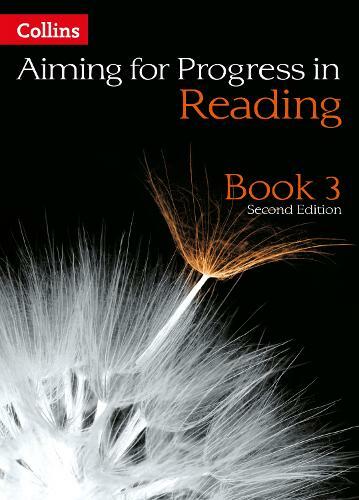 This revised edition of Aiming for Level 5 Reading offers student-friendly explanations and activities to build, develop and extend students' literacy skills, showing them precisely what they need to do to progress. Whether you're looking for a one-off lesson, snappy starters or a longer programme of study, these flexible resources are designed to fit around the needs of your teaching and your classes. Now refreshed to reflect the text types and skills in the new Key Stage 3 curriculum, the Reading books include new lessons on summary and synthesis, literary non-fiction and Shakespeare. *lay the foundations for GCSE success, with coverage of new skills such as summary and synthesis, and an expanded focus on Shakespeare and literary non-fiction.